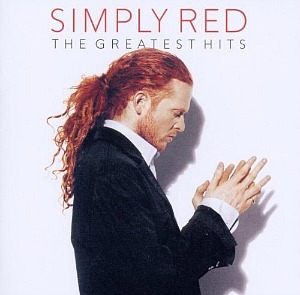 SIMPLY RED "THE RIGHT THING"
Released in 1987, The Right Thing was the lead single from Simply Red's second studio album Men And Women and reached #11 in the UK and #27 in the U.S. The song is more funky than previous single releases and also rather rude! Although the song wasn't banned in the UK, the Men And Women album was banned in Singapore, apparently. Simply Red were probably disappointed that the lyrics didn't cause enough controversy to ban the song, particularly as the furore surrounding Frankie Goes To Hollywood's Relax in 1984 helped it to became one of the biggest-selling singles of all-time. In fact, I can't even remember any DJ's even mentioning the lyrics to be honest. 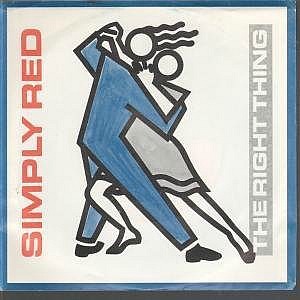 I hope you enjoy listening to this original 80s extended mix of The Right Thing. If there's one thing I adore about many remixes and extended mixes from the eighties, it's the deep and funky basslines. The bass on my PC speakers isn't particularly powerful, but it seems to really shine on this mix, and that's maybe because it appears to have been uploaded from vinyl which has more depth than MP3 or digital uploads, in my opinion - call me old fashioned!